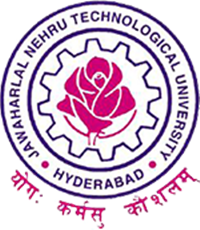 JNTUH B.Tech 1-1, 2-1, 3-1, 4-1 Semesters Supply Exams Fee Notification May 2019, Jntu hyderabad Examination Notification for B Tech Regular & Supply I-I, II-I, III-I, IV-I MAY-2019. B.TECH – I YEAR – I SEMESTER SUPPLEMMENTARY EXAMINATIONS (R18/R16) REGULATIONS. B.TECH. I YEAR SUPPLEMENTARY EXAMINATIONS (R15/R13/R09) REGULATIONS. B.TECH – II YEAR – I SEMESTER SUPPLEMENTARY EXAMINATIONS (R16/R15/R13/R09) REGULATIONS. B.TECH – III YEAR – I SEMESTER SUPPLEMENTARY EXAMINATIONS (R16/R15/R13/R09) REGULATIONS. B.TECH – IV YEAR – I SEMESTER SUPPLEMENTARY EXAMINATIONS (R15/R13/ R09) REGULATIONS. Will you correct the RC/RV Papers ,and how r the persons correcting the papers of first year. Why you give always the result as "NO CHANGE". Specially for the correction of 1yrs papers. R13 revaluation M1 result release date will you plz tell me? ?